Like a reflection in a mirror, Judith Scully’s story invites readers to look back and ponder their own lives and their search for God in the everyday events of their life’s unfolding, says Sister Bernardina Sontrop. In the constant activity of my everyday life, I was drawn in by the title of Judith Scully’s book, A Gentle Unfolding: Circling and Spiralling into Meaning. I first encountered Judith’s deeply reflective and beautifully written memoir-style articles on faith in ordinary life in The Good Oil about six years ago. So when I discovered she had published a book, I was eager to read and delighted to engage in a story of an Australian woman’s vocation and her deep love of and search for God, in her everyday life. I was not disappointed! Like a reflection in a mirror, Judith’s story invites readers to look back and ponder their own lives and their search for God in the everyday events of their life’s unfolding. Written in short, easy-to-read chapters recalling echoes and fragments from the past, Judith recounts and reflects on the unfolding of her life as a fourth generation Australian. The book, as Judith said herself at its launch last month, is “a memoir of sorts”, but “not a bearing of the soul, or a warts-and-all-round-up” of her life. What makes it more than a biography is her reflections on God’s presence and action in the ordinary events of her life. Judith describes candidly some of the ‘ups’ and ‘downs’ of her life. She writes lovingly of her birth family – her “not very pious” Catholic family who “did basic Catholic things”, and her childhood and school years growing up in Melbourne in the rapidly changing society of the early 1950s. Her years as a religious sister in the Congregation of the Daughters of Our Lady of the Sacred Heart, openly speak of religious life of the time, of her religious formation and her immersion in ministry amongst Indigenous communities in northern Australia. She describes the gradual unfolding of her deeper yearnings, her feeling “like I’m a square peg in a round hole”, which ended in her leaving religious life, which she acknowledges “gifted her with things that have endured through the years”. Judith’s memoir dips in and out of her life journey. She recalls her unfolding awareness of hearing “God’s voice in a different way” as she picks up her life after leaving the sisters. She writes honestly about her marriage to Terry and her desire for children, fulfilled not in giving birth to her own, but in lovingly nurturing the lives of their five children, three foster children and two adopted children. In the midst of recounting the ordinary and the extraordinary of her life, Judith reflects in a deeply personal way on the revelation of the mysterious ways of God. She writes openly about her years as a stay-at-home-mum and her involvement in a variety of experiences – in religious education, faith education, volunteer ministry, both in and beyond Church. She recalls her move to country Victoria and running a general store. Judith’s reflections on her marriage to Terry and caring for him in the six years before he died from motor neuron disease are deeply moving. 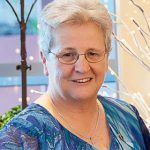 The stories continue with various exploits and the challenges and triumphs of further experiences in parish ministry, particularly as a parish pastoral associate, until she embraced the gift of retirement 12 years ago. It was during these ‘retirement’ years, following a big ‘0’ birthday, that Judith embarked on a new venture, a website called “Tarella Spirituality – Finding God in the Everyday”, where she offers a distinctly feminine and Australian voice, connecting the stories of Jesus in the Gospel to our personal stories. Judith’s descriptions of her life experiences flow naturally into personal reflections on her own beliefs and experiences of God and institutional Church and its teachings. It was not only a delight to read Judith’s honest and engaging book, but more especially, it was a privilege to meet the writer herself at the launch of her book at Heart of Life Spirituality Centre in Melbourne. While no two peoples’ experiences in their life journey are the same, Judith’s reflections deeply touched my own life journey. I found in her story an echo of my yearning and longing for God, my search and struggle with questions about God in my life. The accounts of Judith’s joys and struggles with her ministry in Church triggered memories of my own grappling with my experience in Church. The book echoed my conviction that God reveals God’s self gradually through life’s daily experiences and my trust, in what Teilhard de Chardin calls, “the slow work of God”. A Gentle Unfolding: Circling and Spiralling into Meaning is the culmination of a rich and challenging life, the product of deep reflection on an authentic life. I am sure, for years to come, the book will invite its readers to reflect deeply on their own experience of God in the “gentle unfolding… in the circling and spiralling into meaning” in their own lives. A Gentle Unfolding: Circling and Spiralling into Meaning (David Lovell Publishing) is available directly from the publisher (E: publisher@davidlovellpublishing.com) or from Garratt Publishing, Amazon, Pauline Books, and Booktopia. View videos from the book launch: Dr Bernadette Miles, who launched the book, and Judith Scully, the author.